Bacteria are single-celled microbes, and are one of the simplest forms of life on earth. Containing just a single chromosome of DNA, they lack a nucleus or other organelles found in most eukaryotic cells. To replicate, bacteria undergo the process of binary fission, where a bacteria cell grows in size, copies its DNA, and then splits into two identical "daughter" cells. Bacteria can also swap DNA through conjugation, which allows them to share traits that overcome environmental stresses like antibiotics. A bacteria cell is an exceedingly simple prokaryote, meaning it doesn't contain a nucleus. A bacteria contains only a cell wall, cell membrane, cytoplasm, ribosomes and the chromosome, although some bacteria cells also contain a plasmid or extra-cellular structures like a capsule, fimbriae and flagella. Unlike a eukaryotic cell, which does posses a nucleus, a bacteria does not undergo mitosis during replication, where the nucleus splits and DNA is distributed into two identical sets. Instead, bacteria reproduce by binary fission, a replication process that copies the bacteria's DNA and splits a single cell into two identical daughter cells. The simplification of bacteria's reproductive process allows bacteria to replicate at a remarkably brisk pace. Under the right conditions, a single bacterial cell can replicate into as many as one billion individual bacteria in just 10 hours. Binary fission is a tightly controlled process that splits a bacteria evenly into two complete daughter by using specific proteins designed for replication. Binary fission starts with a replication of the bacterium's DNA. Once the DNA is replicated within the chromosome, the chromosome arranges itself into two replication forks and then splits to opposite ends of the cell. At the division site, near the center of the elongated bacterium, the machinery for division is assembled, most notably the protein ring FtsZ. Once the elements for division are assembled, the bacterium synthesizes a new cell wall at the division site using the cell membrane and splits into two identical daughter cells. The daughter cells are clones, identical in every way to the original bacterium. 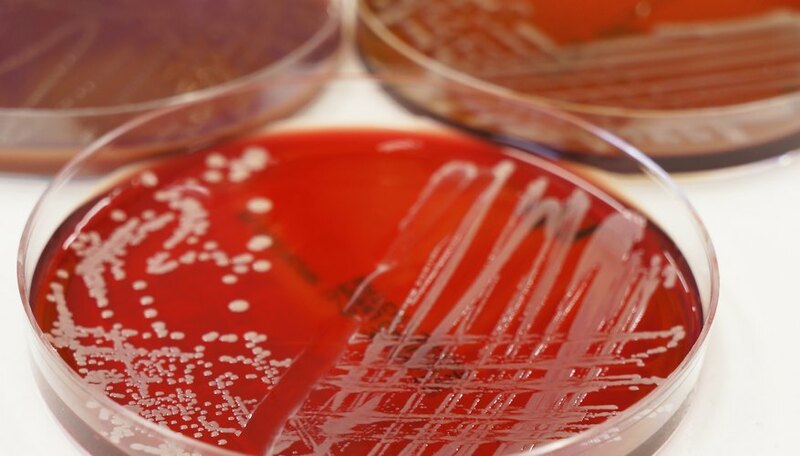 Bacteria have the ability to modify their genetic structure using the transferral of plasmids, a small circular DNA molecule containing genetic information that allows the bacterium to overcome environmental stresses. Plasmids are either picked up by a bacterium from its environment, or passed from bacteria to bacteria through a process called conjugation. This allows them to adapt to live in hostile environments, ranging from arctic snow to the ocean floor. It also allows them to evolve resistance to artificial stresses like antibiotics. A plasmid will not always replicate during the division process; occasionally they are passed to only one of the daughter cells. Plasmids replicate through a stretch of their own DNA that ensures replication by the parent bacterium cell, and can even replicate independently of the bacterium. A single bacterium can contain hundreds of replicated plasmids. Bacteria are extremely diverse, and some forms of bacteria don't replicate through binary fission. The cyanobacteria Stanieria replicates within the cell wall, producing dozens or even hundreds of offspring called baeocytes. The cell wall ruptures, and all the baeocytes are released simultaneously. In Epulopiscium, two small offspring cells form from the replicated DNA within a larger mother cell. When the offspring are fully developed, the mother cell dies, releasing two complete bacteria cells. A reproductive process called budding has also been observed in some members of the Planctomycetes, but the mechanics of this process are still unknown. Roman, Max. "How Do Bacteria Reproduce?" Sciencing, https://sciencing.com/bacteria-reproduce-4565396.html. 24 April 2017.